CWIL Founder Linda Addison has been appointed to the Board of KPMG, LLP. Congratulations to CWIL Founder Linda Addison, who has been appointed as an independent director to the board of KPMG, LLP. Congratulations to CWIL Leader Juanita Harris, who was appointed to serve as a Commissioner on the ABA Commission of Racial and Ethnic Diversity in the Profession. Congratulations to CWIL Founder, who was a recipient of the 2018 Audrey Kaplan Inspiring Women of the Southwest Award. Congratulations to CWIL Leader Arleas Upton Kea, who has been appointed to serve as the Deputy to the Chairman and Chief Operating Officer (COO) of Federal Deposit Insurance Corporation (FDIC). 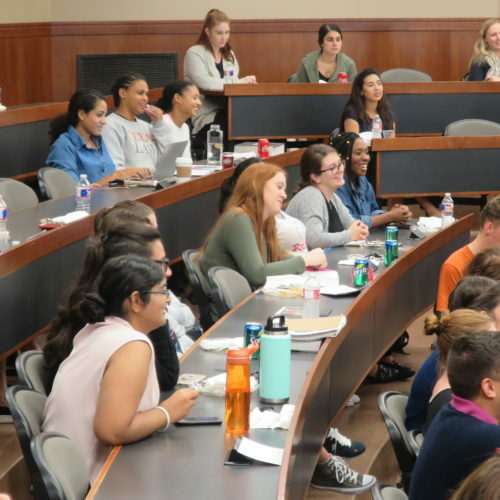 CWIL, through the Power Lunch Series, provides students with role models and mentors by exposing them to prominent lawyers and other public figures.